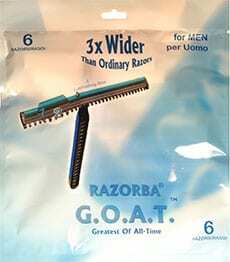 Today’s review is going to be on Razorba G.O.A.T Wide Disposable Double Razor. This razor is kind of unique, in that it can be used by itself or with all four of the Razorba shaving handles systems, which give you an extended reach in which to properly shave your own back. 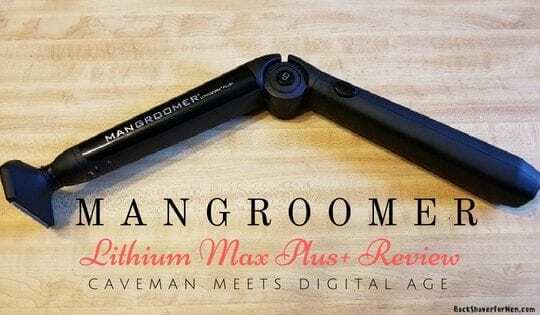 What Is The GOAT Razor? Now, the name G.O.A.T, is an acronym for “Greatest-of-all-time”. With a name like this, it better delivers the best shave ever and also rid your garden and lawn of weeds. Kind of a weird name, but I guess it works for a razor. You just don’t hear of too many goat references. This razor can be used in conjunction with Razorba other 3 back shaving handles, War Hammer, Razorba Silencer, and the Razorba Classic, or it can just be used by itself. 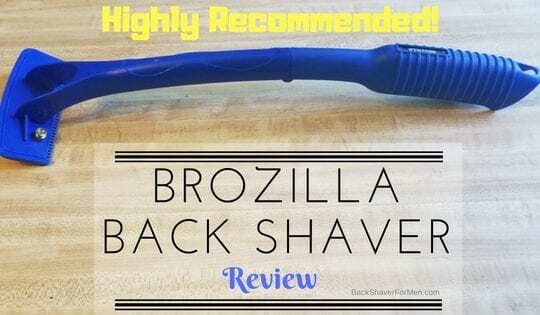 You can read my reviews of the Razorba Back Hair Shavers here, Razorba Back Hair Shaver Reviews, and Razorba Silencer Review. 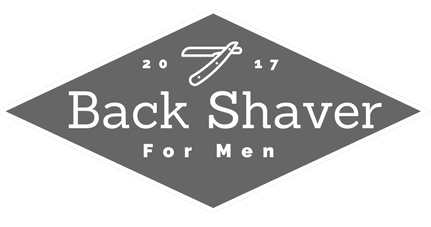 At first glance, it appears to be a regular disposable razor, but with this massive blade width easily distinguishes itself as something…way different. This is also its major advantage to regular razors, if one is looking to shave larger areas than one’s face. This blade should be more than adequate to handle large areas of the human body. The Goat is 4 1/2 inches long and 4 1/2 inches wide. From the bottom of the razor portion of the blade there a unique set of plastic teeth that act like a comb when shaving. This probably positions longer hair in the utmost proper position in order to be shaved properly. Basically just guiding the hair before it is shaved and making the shaving process simpler. It also has two blades, which is pretty standard for a disposable razor blade these days. The blades are made from Japanese high stainless steel, which should resist rusting. Also, it has an aloe moisture strip at the top of the razor. The All Important Question. Does The GOAT Work? Does the Razorba Goat work exceptionally? Umm…not really. I am not that impressed with its performance. 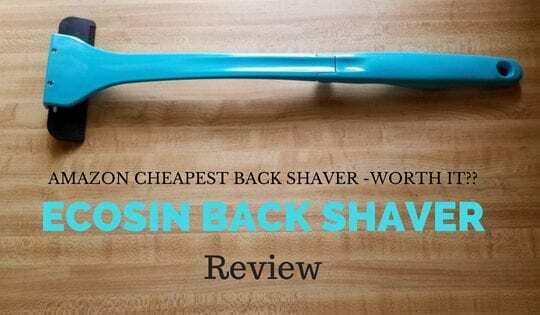 Where I was blown away, like other back hair shavers I have reviewed. Where the hair just seemed to come right off in gobs from single passes. I sharpen my own knives and when you get a knife razor sharp you can really take off the hair on your arm or leg when testing sharpness in one pass of the blade. It works very efficiently. With the GOAT I have to make multiple passes with the razor just to clean up just a small area and it also clogs routinely. It doesn’t just fall off in one pass like other methods, you got to make it work. It does work though. It just takes more work to get the job done. I do enjoy that it provides a wider area to shave with over regular disposables. In this way, it improves the overall time it takes to shave over your normal razor. I think the Razorba Goat would work wonderfully if one shaves their chest. 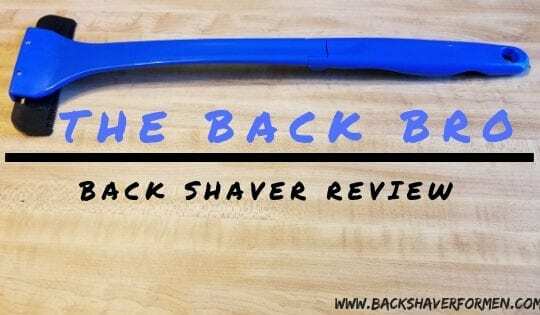 As you have better control over the blades angle than when inserting this into a Razorba long handle shaver as the correct angle gets lost pretty fast due to the awkward positioning of shaving one’s back and the multiple contours of the back. A little shorter in length but a lot wider in width. My Gawd, the size! 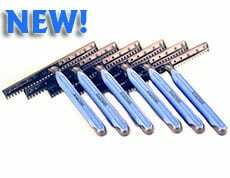 Wide razors! This really cuts down on the shaving time as a person’s back is quite a large area. 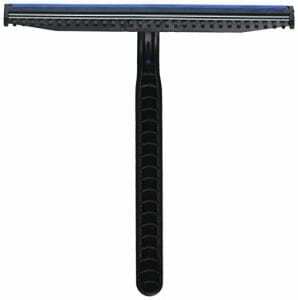 3 times wider than a regular razor. The Razorba GOAT has double razors, this helps to shave hair more efficiently. Aloe moisture strip to help make the shave easier and to soothe the skin after shaving. I like the fact that they sell in packets of six because you can’t buy this at your local grocery store or supercenter. Buying six at a time is a good quantity to have on hand and should last a while. Can be used on other parts of the body as well, not just the back. Compatible with all of the Razorba shaver models. Razorba Classic, Razorba Silencer, Razorba War Hammer, and the newest model the Razorba Sum3X Power. Works great for other parts of the body, like chest and legs. As you are able to better control the angle of the razors, as compared to using Razorba shaver handles. Not a bad price for 6 extra wide blades. Seems the blades clog with hair and difficult to remove clogged hair with just water pressure alone. The back of the razor portion of the razor is closed off, as opposed to a regular razor that is open on both sides. This doesn’t allow for easy cleaning of the razor as it seems to clog and not an efficient way in which to clean it. Left my back with noticeable cut marks, nothing horrible but just minor irritations the next day. This was from dry shaving, FYI. When showering the next morning, my back sung of little cuts and so did my voice box from those little cuts when hot water touched them. Not a deal breaker, just worthy of note. It is much like a regular razor in design so one should properly prepare for shaving with it just like shaving one’s face. For example, properly wetting the hair to be shaved. I think maybe a better shave would occur in the shower or right after a shower. Results may vary. Also the use of shaving cream when shaving with the Goat, as this would alleviate some of the minor discomforts. Also to have a firm toothbrush for which to remove clogged hair between the two blades and speed up unclogging the hair. As stated above, that the Razorba Goat does works, but it doesn’t leave me all that impressed either. 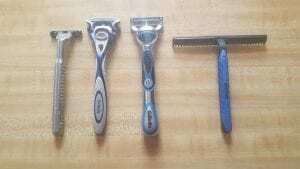 Knowing that other methods out there, that work slicker and faster than the G.O.A.T will probably leave the Razorba collecting dust within my bathroom closet as back up if I run out of razors from my go-to method. 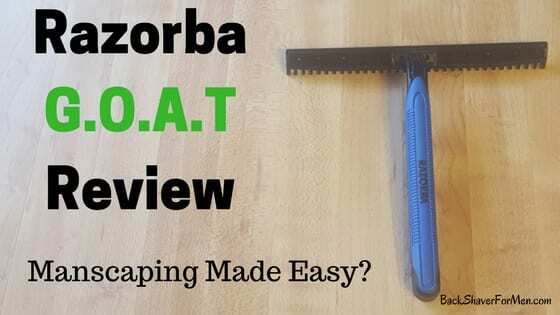 I read multiple reviews about the Razorba Goat and was left feeling a little let down after using it. I thought I might have found a better method of shaving my back. But from my experience, it fell a little short. I like the wide blade width as this is definitely improves shaving time over the standard razors. 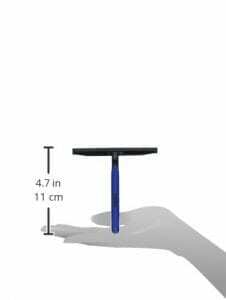 It’s 4 1/2 inches wide compared to 1 1/2 wide for a standard beard shaver. The G.O.A.T falls short of its abbreviated acronym but does deliver an improved method of shaving larger areas in an improved amount of time. No decent method of cleaning blade. Ability to use it anywhere. 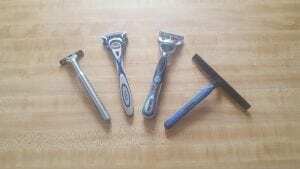 Multiple nicks from shaving with it. Do you have experience with the Razorba Goat, feel free to share your experience with me? Also if you have any comments or questions, would be more than glad to answer them. Thanks!